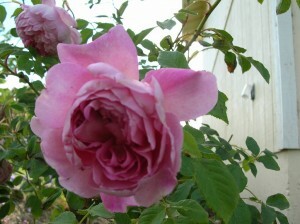 The term “shrub roses” applies to an extensive and diverse group of roses. 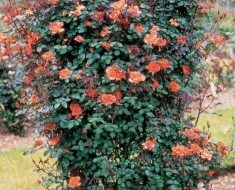 It includes both small rose bushes, which can reach 1 m in height and width, as well as rather large varieties with arched-drooping growth. 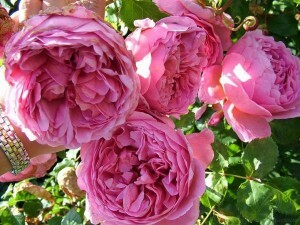 To the shrabas include species (or wild-growing) roses, ancient garden roses, ground-cover and English roses. Roses Alba, Bourbon roses, Gallic, Hybrid rose musk, Hybrid rose repair, Hybrid roses Eagleanteries (fragrant), Damascus roses, Chinese, Moss, Noisette, Polyanthus, Portland, Hybrids roses rugose (wrinkled), Centifolous roses (stolopestkovye), Tea , Hybrids of the rose spinosysima (prickly) or Scottish roses. Shrub roses blooming once or repeatedly. Once-blooming are mostly Old roses. If you plant along with such roses late flowering perennials (yarrow, sage, asters, etc.) – this will help prolong the season of decorativeness. In its majority, park roses are resistant to various diseases and do not require a good winter shelter. 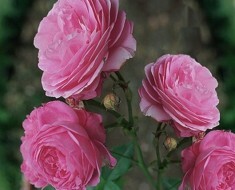 To the ancient roses are also sorts of roses, which were withdrawn before 1867. But in order to accurately attribute a certain variety of roses to a group of park roses, one must be guided by the climatic conditions in which it grows. 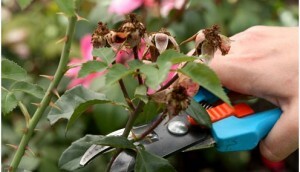 To ensure that there are always beautiful flowers on the bush of roses, the faded flower heads must be cut off in time. This method contributes to the emergence of new flowers and helps to maintain a neat appearance of plants. The branch should be cut right above the new shoot, which appeared below the withered flower. The palette of coloring flowers is so diverse that even the most scrupulous landscape designer will necessarily find what he needs. The sizes and shapes of flowers are of all known species. The forms of bushes and foliage are also in no way inferior to coloring. When buying a seedlings of any roses on the label, there should be at least such information: color of the flower, aroma, number of petals, flower size, plant height, leaf size, growth pattern, resistance to diseases and cold and rewards.